Bookmark.house is a Non-social Bookmarking Site. Nobody except you can see the bookmarks that you saved in Bookmark.house. It will be private. You can import data exported from other bookmark sites. 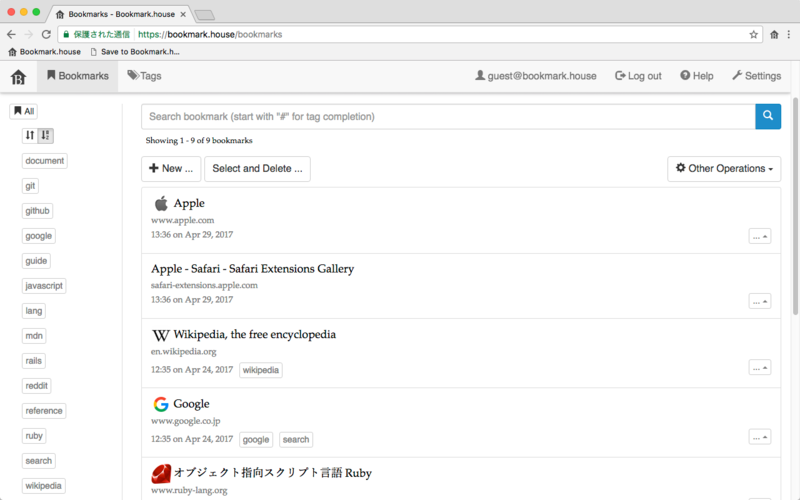 You can export bookmarks saved in Bookmark.house at any time. 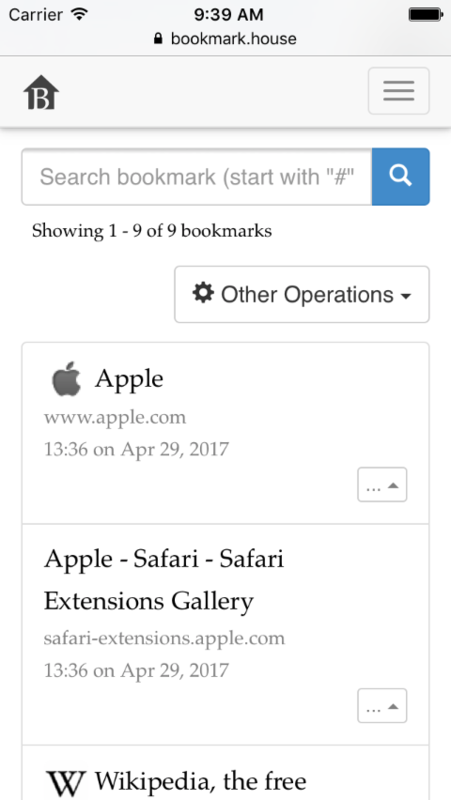 You can search bookmarks by full text search. You can easily bookmark pages with our browser extensions and a bookmarklet. We also offer iPhone and iPad applications.